I found this message in my YouTube account interesting… is it ME!! There was no explanation, I was not asked my permission. It was imposed on me. This is not democracy mate! After 31 January, the ability to auto-share YouTube actions (uploads, liked videos, etc.) on Twitter and Google+ will no longer be available. What will be interesting is to see how my own posts and videos become overtime censured as I have spoken up in freedom of speech. This informs me of the control and I know in my heart what you do to another returns to the self. It is a universal law. I am at peace as I can send my messages from my heart to the planet silently. The inner love cannot be shutdown, diverted or silenced, as we are one. On August 8, 2017, Google fired employee James Damore after he distributed a memo throughout the company which argued that “Google’s ideological echo chamber” and bias clouded their thinking about diversity and inclusion, and that it is also biological factors, not discrimination alone, that cause the average woman to be less interested than men in technical positions. Google CEO Sundar Pichai accused Damore in violating company policy by “advancing harmful gender stereotypes in our workplace”, and he was fired on the same day. New York Times columnist David Brooks argued Pichai had mishandled the case, and called for his resignation. Reportedly, Google’s influenced New America think tank to expel their Open Markets research group, after the group has criticized Google monopolistic power and supported the EU $2.7B fine of Google. Google has worked with the United States Department of Defense on drone software through the 2017 “Project Maven” that could be used to improve the accuracy of drone strikes. Thousands of Google employees, including senior engineers, have signed a letter urging Google CEO Sundar Pichai to end a controversial contract with the Pentagon. In response to the backlash, Google ultimately decided to not renew their DoD contract, set to expire in 2019. The problem is that what is discussed above has to be forced, that its is not intuitively known. This means that money is the objective not service to humanity. Values and ethics would be good subjects to be taught in senior management. Ultimately it is up to management to choose, what I can say for sure, if you do not serve humanity the tide will turn. Power corrupts and ultimate power corrupts ultimately if you are not conscious. With his permission I will post his video, I do not think he can guess what I am thinking about… I found his comments very concerning as only recently privacy was illegal, how can Google get away with such intense surveillance. There is no considerable about how we may feel this person knowing our personal lives. I, for one DO NOT GIVE PERMISSION for Google to track me, profile me, send personalised adverts. I just want to utilise these platforms to speak my truth as a unique person, as that brings me happiness. Google was founded in 1998 by Larry Page and Sergey Brin while they were Ph.D. students at Stanford University in California. Together they own about 14 percent of its shares and control 56 percent of the stockholder voting power through supervotingstock. They incorporated Google as a privately held company on September 4, 1998. An initial public offering (IPO) took place on August 19, 2004, and Google moved to its headquarters in Mountain View, California, nicknamed the Googleplex. In August 2015, Google announced plans to reorganize its various interests as a conglomerate called Alphabet Inc. Google is Alphabet’s leading subsidiary and will continue to be the umbrella company for Alphabet’s Internet interests. Sundar Pichai was appointed CEO of Google, replacing Larry Page who became the CEO of Alphabet. The company’s rapid growth since incorporation has triggered a chain of products, acquisitions, and partnerships beyond Google’s core search engine (Google Search). It offers services designed for work and productivity (Google Docs, Google Sheets, and Google Slides), email (Gmail/Inbox), scheduling and time management (Google Calendar), cloud storage (Google Drive), social networking (Google+), instant messaging and video chat (Google Allo, Duo, Hangouts), language translation (Google Translate), mapping and navigation (Google Maps, Waze, Google Earth, Street View), video sharing (YouTube), note-taking (Google Keep), and photo organizing and editing (Google Photos). The company leads the development of the Androidmobile operating system, the Google Chrome web browser, and Chrome OS, a lightweight operating system based on the Chrome browser. Google has moved increasingly into hardware; from 2010 to 2015, it partnered with major electronics manufacturers in the production of its Nexus devices, and it released multiple hardware products in October 2016, including the Google Pixel smartphone, Google Home smart speaker, Google Wifi mesh wireless router, and Google Daydream virtual reality headset. Google has also experimented with becoming an Internet carrier (Google Fiber, Project Fi, and Google Station). Page and Brin originally nicknamed their new search engine “BackRub”, because the system checked backlinks to estimate the importance of a site. Eventually, they changed the name to Google; the name of the search engine originated from a misspelling of the word “googol“, the number 1 followed by 100 zeros, which was picked to signify that the search engine was intended to provide large quantities of information. Originally, Google ran under Stanford University’s website, with the domains google.stanford.edu and z.stanford.edu. 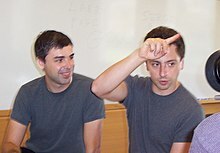 Early in 1999, Brin and Page decided they wanted to sell Google to Excite. They went to Excite CEO George Bell and offered to sell it to him for $1 million. He rejected the offer. Vinod Khosla, one of Excite’s venture capitalists, talked the duo down to $750,000, but Bell still rejected it. Google’s initial public offering (IPO) took place five years later, on August 19, 2004. 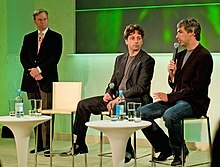 At that time Larry Page, Sergey Brin, and Eric Schmidtagreed to work together at Google for 20 years, until the year 2024. There were concerns that Google’s IPO would lead to changes in company culture. Reasons ranged from shareholder pressure for employee benefit reductions to the fact that many company executives would become instant paper millionaires. As a reply to this concern, co-founders Brin and Page promised in a report to potential investors that the IPO would not change the company’s culture. In 2005, articles in The New York Times and other sources began suggesting that Google had lost its anti-corporate, no evil philosophy. In an effort to maintain the company’s unique culture, Google designated a Chief Culture Officer, who also serves as the Director of Human Resources. The purpose of the Chief Culture Officer is to develop and maintain the culture and work on ways to keep true to the core values that the company was founded on: a flat organization with a collaborative environment. Google has also faced allegations of sexism and ageism from former employees. In 2013, a class action against several Silicon Valley companies, including Google, was filed for alleged “no cold call” agreements which restrained the recruitment of high-tech employees. In March 1999, the company moved its offices to Palo Alto, California, which is home to several prominent Silicon Valley technology start-ups. The next year, Google began selling advertisements associated with search keywords against Page and Brin’s initial opposition toward an advertising-funded search engine. To maintain an uncluttered page design, advertisements were solely text-based. In 2001, Google received a patent for its PageRank mechanism. The patent was officially assigned to Stanford University and lists Lawrence Page as the inventor. In 2003, after outgrowing two other locations, the company leased an office complex from Silicon Graphics, at 1600 Amphitheatre Parkway in Mountain View, California. The complex became known as the Googleplex, a play on the word googolplex, the number one followed by a googol zeroes. The Googleplex interiors were designed by Clive Wilkinson Architects. Three years later, Google bought the property from SGI for $319 million. By that time, the name “Google” had found its way into everyday language, causing the verb “google” to be added to the Merriam-Webster Collegiate Dictionary and the Oxford English Dictionary, denoted as: “to use the Google search engine to obtain information on the Internet”. The first use of “Google” as a verb in pop culture happened on the TV series Buffy the Vampire Slayer, in 2002. In 2005, The Washington Post reported on a 700 percent increase in third-quarter profit for Google, largely thanks to large companies shifting their advertising strategies from newspapers, magazines, and television to the Internet. In January 2008, all the data that passed through Google’s MapReduce software component had an aggregated size of 20 petabytes per day. In 2009, a CNN report about top political searches of 2009 noted that “more than a billion searches” are being typed into Google on a daily basis. In May 2011, the number of monthly unique visitors to Google surpassed one billion for the first time, an 8.4 percent increase from May 2010 (931 million). Google has a total of four offices in India, including its country headquarters in Hyderabad, and over 1 lakh sq ft office space leased in the First International Finance Centre in the Bandra Kurla Complex. Google announced the launch of a new company, called Calico, on September 19, 2013, to be led by Apple, Inc. chairman Arthur Levinson. In the official public statement, Page explained that the “health and well-being” company would focus on “the challenge of ageing and associated diseases”. Google celebrated its 15-year anniversary on September 27, 2013, and in 2016 it celebrated its 18th birthday with an animated version of its logo (a “Google Doodle“), although it has used other dates for its official birthday. The reason for the choice of September 27 remains unclear, and a dispute with rival search engine Yahoo! Search in 2005 has been suggested as the cause. The Alliance for Affordable Internet (A4AI) was launched in October 2013; Google is part of the coalition of public and private organizations that also includes Facebook, Intel, and Microsoft. Led by Sir Tim Berners-Lee, the A4AI seeks to make Internet access more affordable so that access is broadened in the developing world, where only 31% of people are online. Google will help to decrease Internet access prices so they fall below the UN Broadband Commission’s worldwide target of 5% of monthly income. The corporation’s consolidated revenue for the third quarter of 2013 was reported in mid-October 2013 as $14.89 billion, a 12 percent increase compared to the previous quarter. Google’s Internet business was responsible for $10.8 billion of this total, with an increase in the number of users’ clicks on advertisements. According to Interbrand‘s annual Best Global Brands report, Google has been the second most valuable brand in the world (behind Apple Inc.) in 2013, 2014, 2015,and 2016, with a valuation of $133 billion. As of October 2016, Google operates 70 offices in more than 40 countries. Alexa, a company that monitors commercial web traffic, lists Google.com as the most visited website in the world. Several other Google services also figure in the top 100 most visited websites, including YouTube and Blogger. In April 2003, Google acquired Applied Semantics, a company specializing in making software applications for the online advertising space. The AdSense contextual advertising technology developed by Applied Semantics was adopted into Google’s advertising efforts. In 2004, Google acquired Keyhole, Inc. Keyhole’s eponymous product was later renamed Google Earth. In April 2005, Google acquired Urchin Software, using their Urchin on Demand product (along with ideas from Adaptive Path’s Measure Map) to create Google Analytics in 2006. In 2005 Google partnered with AOL to enhance each other’s video search services. In 2006 Google and Fox Interactive Media of News Corporation entered into a $900 million agreement to provide search and advertising on the then-popular social networking site MySpace. In 2007, Google began sponsoring NORAD Tracks Santa, displacing the former sponsor AOL. NORAD Tracks Santa purports to follow Santa Claus‘ progress on Christmas Eve, using Google Earth to “track Santa” in 3-D for the first time. In 2008, Google developed a partnership with GeoEye to launch a satellite providing Google with high-resolution (0.41 m monochrome, 1.65 m color) imagery for Google Earth. The satellite was launched from Vandenberg Air Force Base on September 6, 2008. Google also announced in 2008 that it was hosting an archive of Life Magazine‘s photographs. In 2010, Google Energy made its first investment in a renewable energy project, putting $38.8 million into two wind farms in North Dakota. The company announced the two locations will generate 169.5 megawatts of power, enough to supply 55,000 homes. The farms, which were developed by NextEra Energy Resources, will reduce fossil fuel use in the region and return profits. NextEra Energy Resources sold Google a twenty-percent stake in the project to get funding for its development. In February 2010, the Federal Energy Regulatory Commission FERC granted Google an authorization to buy and sell energy at market rates. The order specifically states that Google Energy—a subsidiary of Google—holds the rights “for the sale of energy, capacity, and ancillary services at market-based rates”, but acknowledges that neither Google Energy nor its affiliates “own or control any generation or transmission” facilities. The corporation exercised this authorization in September 2013 when it announced it would purchase all the electricity produced by the not-yet-built 240-megawatt Happy Hereford wind farm. On August 15, 2011, Google made its largest-ever acquisition to date when it announced that it would acquire Motorola Mobility for $12.5 billion subject to approval from regulators in the United States and Europe. In a post on Google’s blog, Google Chief Executive and co-founder Larry Page revealed that the acquisition was a strategic move to strengthen Google’s patent portfolio. The company’s Android operating system has come under fire in an industry-wide patent battle, as Apple and Microsoft have sued Android device makers such as HTC, Samsung, and Motorola. The merger was completed on May 22, 2012, after the approval of China. This purchase was made in part to help Google gain Motorola’s considerable patent portfolio on mobile phones and wireless technologies, to help protect Google in its ongoing patent disputes with other companies, mainly Apple and Microsoft, and to allow it to continue to freely offer Android. After the acquisition closed, Google began to restructure the Motorola business to fit Google’s strategy. On August 13, 2012, Google announced plans to lay off 4000 Motorola Mobility employees. On December 10, 2012, Google sold the manufacturing operations of Motorola Mobility to Flextronics for $75 million. As a part of the agreement, Flextronics will manufacture undisclosed Android and other mobile devices. On December 19, 2012, Google sold the Motorola Home business division of Motorola Mobility to Arris Group for $2.35 billion in a cash-and-stock transaction. As a part of this deal, Google acquired a 15.7% stake in Arris Group valued at $300 million. In June 2013, Google acquired Waze, a $966 million deal. While Waze would remain an independent entity, its social features, such as its crowdsourced location platform, were reportedly valuable integrations between Waze and Google Maps, Google’s own mapping service. On January 26, 2014, Google announced it had agreed to acquire DeepMind Technologies, a privately held artificial intelligence company from London. DeepMind describes itself as having the ability to combine the best techniques from machine learning and systems neuroscience to build general-purpose learning algorithms. DeepMind’s first commercial applications were used in simulations, e-commerce and games. As of December 2013, it was reported that DeepMind had roughly 75 employees.Technology news website Recode reported that the company was purchased for $400 million though it was not disclosed where the information came from. A Google spokesman would not comment of the price. The purchase of DeepMind aids in Google’s recent growth in the artificial intelligence and robotics community. On January 29, 2014, Google announced that it would divest Motorola Mobility to Lenovo for $2.91 billion, a fraction of the original $12.5 billion price paid by Google to acquire the company. Google retained all but 2000 of Motorola’s patents and entered into cross-licensing deals. On September 21, 2017, HTC announced a “cooperation agreement” in which it would sell non-exclusive rights to certain intellectual property, as well as smartphone talent, to Google for $1.1 billion. On December 6, 2017, Google made its first investment in India and picked up a significant minority stake in hyper-local concierge and delivery player Dunzo. The Benguluru-based startup received $12 million investment in Google’s series B funding round. In October 2013, The Washington Post reported that the U.S. National Security Agency intercepted communications between Google’s data centers, as part of a program named MUSCULAR. This wiretapping was made possible because Google did not encrypt data passed inside its own network. Google began encrypting data sent between data centers in 2013. Google’s most efficient data center runs at 35 °C (95 °F) using only fresh air cooling, requiring no electrically powered air conditioning; the servers run so hot that humans cannot go near them for extended periods. In December 2016, Google announced that—starting in 2017—it will power all of its data centers, as well as all of its offices, from 100% renewable energy. The commitment will make Google “the world’s largest corporate buyer of renewable power, with commitments reaching 2.6 gigawatts (2,600 megawatts) of wind and solar energy”. Google also stated that it does not count that as its final goal; it says that “since the wind doesn’t blow 24 hours a day, we’ll also broaden our purchases to a variety of energy sources that can enable renewable power, every hour of every day”. Additionally, the project will “help support communities” around the world, as the purchase commitments will “result in infrastructure investments of more than $3.5 billion globally”, and will “generate tens of millions of dollars per year in revenue to local property owners, and tens of millions more to local and national governments in tax revenue”. For the 2006 fiscal year, the company reported $10.492billion in total advertising revenues and only $112million in licensing and other revenues. In 2011, 96% of Google’s revenue was derived from its advertising programs. In addition to its own algorithms for understanding search requests, Google uses technology from the company DoubleClick, to project user interest and target advertising to the search context and the user history. In 2007, Google launched “AdSense for Mobile“, taking advantage of the emerging mobile advertising market. Google Analytics allows website owners to track where and how people use their website, for example by examining click rates for all the links on a page. Google advertisements can be placed on third-party websites in a two-part program. Google’s AdWords allows advertisers to display their advertisements in the Google content network, through a cost-per-click scheme. The sister service, Google AdSense, allows website owners to display these advertisements on their website and earn money every time ads are clicked. In February 2003, Google stopped showing the advertisements of Oceana, a non-profit organization protesting a major cruise ship’s sewage treatment practices. Google cited its editorial policy at the time, stating “Google does not accept advertising if the ad or site advocates against other individuals, groups, or organizations.” In June 2008, Google reached an advertising agreement with Yahoo!, which would have allowed Yahoo! to feature Google advertisements on its web pages. The alliance between the two companies was never completely realized because of antitrust concerns by the U.S. Department of Justice. As a result, Google pulled out of the deal in November 2008. In July 2016, Google started rejecting all flash-based adverts replacing them by HTML5. Google’s plan was to go “100% HTML5” beginning on January 2, 2017. In 2003, The New York Times complained about Google’s indexing, claiming that Google’s caching of content on its site infringed its copyright for the content. In both Field v. Google and Parker v. Google, the United States District Court of Nevada ruled in favor of Google. The publication 2600: The Hacker Quarterly has compiled a list of words that google’s new instant search feature will not search. In August 2016, Google announced two major changes to its mobile search results. The first change removes the “mobile-friendly” label that highlighted easy to read pages from its mobile search results page. For the second change, the company—starting on January 10, 2017—will punish mobile pages that show intrusive interstitial advertisements when a user first opens a page. Such pages will also rank lower in Google search results. In May 2017, Google enabled a new “Personal” tab in Google Search, letting users search for content in their Google accounts’ various services, including email messages from Gmail and photos from Google Photos. G Suite is a monthly subscription offering for organizations and businesses to get access to a collection of Google’s services, including Gmail, Google Drive and Google Docs, Google Sheets and Google Slides, with additional administrative tools, unique domain names, and 24/7 support. 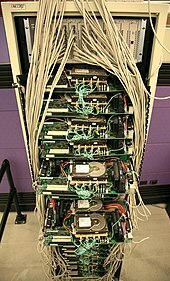 Google Search Appliance was launched in February 2002, targeted toward providing search technology for larger organizations. Google launched the Mini three years later, which was targeted at smaller organizations. Late in 2006, Google began to sell Custom Search Business Edition, providing customers with an advertising-free window into Google.com’s index. The service was renamed Google Site Search in 2008. Site Search customers were notified by email in late March 2017 that no new licenses for Site Search would be sold after April 1, 2017, but that customer and technical support would be provided for the duration of existing license agreements. On March 15, 2016, Google announced the introduction of Google Analytics 360 Suite, “a set of integrated data and marketing analytics products, designed specifically for the needs of enterprise-class marketers” which can be integrated with BigQuery on the Google Cloud Platform. Among other things, the suite is designed to help “enterprise class marketers” “see the complete customer journey”, generate “useful insights”, and “deliver engaging experiences to the right people”. Jack Marshall of The Wall Street Journal wrote that the suite competes with existing marketing cloud offerings by companies including Adobe, Oracle, Salesforce, and IBM. Google offers Gmail, and the newer variant Inbox, for email, Google Calendar for time-management and scheduling, Google Maps for mapping, navigation and satellite imagery, Google Drive for cloud storage of files, Google Docs, Sheets and Slides for productivity, Google Photos for photo storage and sharing,Google Keep for note-taking, Google Translate for language translation, YouTube for video viewing and sharing, and Google+, Allo, and Duo for social interaction. In January 2010, Google released Nexus One, the first Android phone under its own, “Nexus”, brand. It spawned a number of phones and tablets under the “Nexus” branding until its eventual discontinuation in 2016, replaced by a new brand called, Pixel. In 2011, the Chromebook was introduced, described as a “new kind of computer” running Chrome OS. In June 2014, Google announced Google Cardboard, a simple cardboard viewer that lets user place their smartphone in a special front compartment to view virtual reality(VR) media. In February 2010, Google announced the Google Fiber project, with experimental plans to build an ultra-high-speed broadband network for 50,000 to 500,000 customers in one or more American cities. Following Google’s corporate restructure to make Alphabet Inc. its parent company, Google Fiber was moved to Alphabet’s Access division. In September 2016, Google began its Google Station initiative, a project for public Wi-Fi at railway stations in India. Caesar Sengupta, VP for Google’s next billion users, told The Verge that 15,000 people get online for the first time thanks to Google Station and that 3.5 million people use the service every month. The expansion meant that Google was looking for partners around the world to further develop the initiative, which promised “high-quality, secure, easily accessible Wi-Fi”. By December, Google Station had been deployed at 100 railway stations, and in February, Google announced its intention to expand beyond railway stations, with a plan to bring citywide Wi-Fi to Pune. Google launched its Google News service in 2002, an automated service which summarizes news articles from various websites. In March 2005, Agence France Presse(AFP) sued Google for copyright infringement in federal court in the District of Columbia, a case which Google settled for an undisclosed amount in a pact that included a license of the full text of AFP articles for use on Google News. Google introduced its Family Link service in March 2017, letting parents buy Android Nougat-based Android devices for kids under 13 years of age and create a Google account through the app, with the parents controlling the apps installed, monitor the time spent using the device, and setting a “Bedtime” feature that remotely locks the device. In April 2017, Google launched AutoDraw, a web-based tool using artificial intelligence and machine learning to recognize users’ drawings and replace scribbles with related stock images that have been created by professional artists. The tool is built using the same technology as QuickDraw, an experimental game from Google’s Creative Lab where users were tasked with drawing objects that algorithms would recognize within 20 seconds. In May 2017, Google added “Family Groups” to several of its services. The feature, which lets users create a group consisting of their family members’ individual Google accounts, lets users add their “Family Group” as a collaborator to shared albums in Google Photos, shared notes in Google Keep, and common events in Google Calendar. At announcement, the feature is limited to Australia, Brazil, Canada, France, Germany, Ireland, Italy, Japan, Mexico, New Zealand, Russia, Spain, United Kingdom and United States. Google Developers is Google’s site for software development tools, APIs, and technical resources. The site contains documentation on using Google developer tools and APIs—including discussion groups and blogs for developers using Google’s developer products. Google owns the top-level domain 1e100.net which is used for some servers within Google’s network. The name is a reference to the scientific E notation representation for 1 googol, 1E100 = 1 × 10100. In June 2017, Google launched “We Wear Culture”, a searchable archive of 3,000 years of global fashion. The archive, a result of collaboration between Google and over 180 museums, schools, fashion institutes, and other organizations, also offers curated exhibits of specific fashion topics and their impact on society. As a motivation technique, Google uses a policy known as Innovation Time Off, where Google engineers are encouraged to spend 20% of their work time on projects that interest them. Some of Google’s services, such as Gmail, Google News, Orkut, and AdSense originated from these independent endeavors. In a talk at Stanford University, Marissa Mayer, Google’s Vice-President of Search Products and User Experience until July 2012, showed that half of all new product launches in the second half of 2005 had originated from the Innovation Time Off. On 25 October 2018, The New York Times published the exposé, “How Google Protected Andy Rubin, the ‘Father of Android’”. The company subsequently announced that “48 employees have been fired over the last two years” for sexual misconduct. A week after the article appeared, Google X (renamed X Development LLC in 2015) executive Rich DeVaul resigned pursuant to a complaint of sexual harassment. New employees are called “Nooglers,” and are given a propeller beanie cap to wear on their first Friday. Following the company’s IPO in 2004, founders Sergey Brin and Larry Page and CEO Eric Schmidt requested that their base salary be cut to $1. Subsequent offers by the company to increase their salaries were turned down, primarily because their main compensation continues to come from owning stock in Google. Before 2004, Schmidt made $250,000 per year, and Page and Brin each received an annual salary of $150,000. In March 2008, Sheryl Sandberg, then vice-president of global online sales and operations, began her position as chief operating officer of Facebook. In 2009, early employee Tim Armstrong left to become CEO of AOL. In July 2012, Google’s first female engineer, Marissa Mayer, left Google to become Yahoo!‘s CEO. In January 2017, Google employees donated over $2 million to a crisis fund in support of refugees; the company matched the donation with an additional $2 million. Employees then organized a global workplace walk-out, aided by the hashtag #GooglersUnite, to protest U.S. President Donald Trump‘s Muslim travel ban. On 1 November 2018, Google employees staged a global walk-out to protest the company’s handling of sexual harassment complaints, including the golden parachute exit of former executive Andy Rubin; more than 20,000 employees and contractors participated. CEO Sundar Pichai was reported to be in support of the protests. Google’s headquarters in Mountain View, California is referred to as “the Googleplex“, a play on words on the number googolplex and the headquarters itself being a complex of buildings. The lobby is decorated with a piano, lava lamps, old server clusters, and a projection of search queries on the wall. The hallways are full of exercise balls and bicycles. Many employees have access to the corporate recreation center. Recreational amenities are scattered throughout the campus and include a workout room with weights and rowing machines, locker rooms, washers and dryers, a massage room, assorted video games, table football, a baby grand piano, a billiard table, and ping pong. In addition to the recreation room, there are snack rooms stocked with various foods and drinks, with special emphasis placed on nutrition. Free food is available to employees 24/7, with the offerings provided by paid vending machines prorated based on and favoring those of better nutritional value. Google’s extensive amenities are not available to all of its workers. Temporary workers such as book scanners do not have access to shuttles, Google cafes, or other perks. Google’s New York City office building houses its largest advertising sales team. Google’s New York City location continued to expand in 2018. In March of that year, Google’s parent company Alphabet bought Chelsea Market building for $2.4 billion nearby its current New York HQ. The sale is touted as one of the most expensive real estate transactions for a single building in the history of New York. The same December, it was announced that a $1 billion, 1,700,000-square-foot (160,000 m2) headquarters for Google would be built in Manhattan’s Hudson Square neighborhood.Called Google Hudson Square, the new campus is projected to more than double the number of Google employees working in New York City. By late 2006, Google established a new headquarters for its AdWords division in Ann Arbor, Michigan. In November 2006, Google opened offices on Carnegie Mellon‘s campus in Pittsburgh, focusing on shopping-related advertisement coding and smartphone applications and programs. Other office locations in the U.S. include Atlanta, Georgia; Austin, Texas; Boulder, Colorado; Cambridge, Massachusetts; San Francisco, California; Seattle, Washington; Kirkland, Washington; Birmingham, Michigan; Reston, Virginia, and Washington, D.C. In October 2006, the company announced plans to install thousands of solar panels to provide up to 1.6 megawatts of electricity, enough to satisfy approximately 30% of the campus’ energy needs. The system will be the largest solar power system constructed on a U.S. corporate campus and one of the largest on any corporate site in the world. In addition, Google announced in 2009 that it was deploying herds of goats to keep grassland around the Googleplex short, helping to prevent the threat from seasonal bush fires while also reducing the carbon footprint of mowing the extensive grounds. The idea of trimming lawns using goats originated from Bob Widlar, an engineer who worked for National Semiconductor. In 2008, Google faced accusations in Harper’s Magazine of being an “energy glutton”. The company was accused of employing its “Don’t be evil” motto and its public energy-saving campaigns to cover up or make up for the massive amounts of energy its servers require. Internationally, Google has over 78 offices in more than 50 countries. It also has product research and development operations in cities around the world, namely Sydney(birthplace location of Google Maps) and London (part of Android development). In November 2013, Google announced plans for a new London headquarter, a notable 1 million square foot office able to accommodate 4,500 employees. Recognized as one of the biggest ever commercial property acquisitions at the time of the deal’s announcement in January, Google submitted plans for the new headquarter to the Camden Council in June 2017. The new building, if approved, will feature a rooftop garden with a running track, giant moving blinds, a swimming pool, and a multi-use games area for sports. In May 2015, Google announced its intention to create its own campus in Hyderabad, India. The new campus, reported to be the company’s largest outside the United States, will accommodate 13,000 employees. Google has a tradition of creating April Fools’ Day jokes. On April 1, 2000, Google MentalPlex allegedly featured the use of mental power to search the web. In 2007, Google announced a free Internet service called TiSP, or Toilet Internet Service Provider, where one obtained a connection by flushing one end of a fiber-optic cable down their toilet. Also in 2007, Google’s Gmail page displayed an announcement for Gmail Paper, allowing users to have email messages printed and shipped to them. In 2008, Google announced Gmail Custom time where users could change the time that the email was sent. In 2010, Google changed its company name to Topeka in honor of Topeka, Kansas, whose mayor changed the city’s name to Google for a short amount of time in an attempt to sway Google’s decision in its new Google Fiber Project. In 2011, Google announced Gmail Motion, an interactive way of controlling Gmail and the computer with body movements via the user’s webcam. Google’s services contain easter eggs, such as the Swedish Chef‘s “Bork bork bork,” Pig Latin, “Hacker” or leetspeak, Elmer Fudd, Pirate, and Klingon as language selections for its search engine. The search engine calculator provides the Answer to the Ultimate Question of Life, the Universe, and Everything from Douglas Adams‘ The Hitchhiker’s Guide to the Galaxy. When searching the word “recursion”, the spell-checker’s result for the properly spelled word is exactly the same word, creating a recursive link. When searching for the word “anagram,” meaning a rearrangement of letters from one word to form other valid words, Google’s suggestion feature displays “Did you mean: nag a ram?” In Google Maps, searching for directions between places separated by large bodies of water, such as Los Angeles and Tokyo, results in instructions to “kayakacross the Pacific Ocean.” During FIFA World Cup 2010, search queries including “World Cup” and “FIFA” caused the “Goooo…gle” page indicator at the bottom of every result page to read “Goooo…al!” instead. In 2004, Google formed the not-for-profit philanthropic Google.org, with a start-up fund of $1 billion. The mission of the organization is to create awareness about climate change, global public health, and global poverty. One of its first projects was to develop a viable plug-in hybrid electric vehicle that can attain 100 miles per gallon. Google hired Larry Brilliant as the program’s executive director in 2004 and Megan Smith has since replaced him has director. In 2008, Google announced its “project 10100” which accepted ideas for how to help the community and then allowed Google users to vote on their favorites. After two years of silence, during which many wondered what had happened to the program, Google revealed the winners of the project, giving a total of ten million dollars to various ideas ranging from non-profit organizations that promote education to a website that intends to make all legal documents public and online. In March 2007, in partnership with the Mathematical Sciences Research Institute (MSRI), Google hosted the first Julia Robinson Mathematics Festival at its headquarters in Mountain View. In 2011, Google donated 1 million euros to International Mathematical Olympiad to support the next five annual International Mathematical Olympiads (2011–2015). In July 2012, Google launched a “Legalize Love” campaign in support of gay rights. Google uses various tax avoidance strategies. Out of the five largest American technology companies, it pays the lowest taxes to the countries of origin of its revenues. Google between 2007 and 2010 saved $3.1 billion in taxes by shuttling non-U.S. profits through Ireland and the Netherlands and then to Bermuda. Such techniques lower its non-U.S. tax rate to 2.3 per cent, while normally the corporate tax rate in for instance the UK is 28 per cent. This has reportedly sparked a French investigation into Google’s transfer pricing practices. 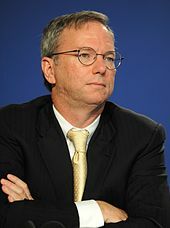 Following criticism of the amount of corporate taxes that Google paid in the United Kingdom, Chairman Eric Schmidt said, “It’s called capitalism. We are proudly capitalistic.” During the same December 2012 interview, Schmidt confirmed that the company had no intention of paying more to the UK exchequer. Google disclosed in September 2011 that it “continuously uses enough electricity to power 200,000 homes”, almost 260 million watts or about a quarter of the output of a nuclear power plant. Total carbon emissions for 2010 were just under 1.5 million metric tons, mostly due to fossil fuels that provide electricity for the data centers. Google said that 25 percent of its energy was supplied by renewable fuels in 2010. An average search uses only 0.3 watt-hours of electricity, so all global searches are only 12.5 million watts or 5% of the total electricity consumption by Google. In 2007, Google launched a project centered on developing renewable energy, titled the “Renewable Energy Cheaper than Coal (RE<C)” project. However, the project was canceled in 2014, after engineers Ross Koningstein and David Fork understood, after years of study, that “best-case scenario, which was based on our most optimistic forecasts for renewable energy, would still result in severe climate change”, writing that they “came to the conclusion that even if Google and others had led the way toward a wholesale adoption of renewable energy, that switch would not have resulted in significant reductions in carbon dioxide emissions”. In July 2013, it was reported that Google had hosted a fundraising event for Oklahoma Senator Jim Inhofe, who has called climate change a “hoax”. In 2014 Google cut ties with the American Legislative Exchange Council (ALEC) after pressure from the Sierra Club, major unions and Google’s own scientists because of ALEC’s stance on climate change and opposition to renewable energy. On June 27, 2017, the company received a record fine of €2.42 billion from the European Union for “promoting its own shopping comparison service at the top of search results.” Commenting on the penalty, New Scientist magazine said: “The hefty sum – the largest ever doled out by the EU’s competition regulators – will sting in the short term, but Google can handle it. Alphabet, Google’s parent company, made a profit of $2.5 billion (€2.2 billion) in the first six weeks of 2017 alone. The real impact of the ruling is that Google must stop using its dominance as a search engine to give itself the edge in another market: online price comparisons.” The company disputed the ruling. Google’s market dominance has led to prominent media coverage, including criticism of the company over issues such as aggressive tax avoidance, search neutrality, copyright, censorship of search results and content, and privacy. Other criticisms include alleged misuse and manipulation of search results, its use of others’ intellectual property, concerns that its compilation of data may violate people’s privacy, and the energy consumption of its servers, as well as concerns over traditional business issues such as monopoly, restraint of trade, anti-competitive practices, and patent infringement. Former Deputy Defense Secretary Robert O. Work in 2018 criticizes Google and its employees have stepped into a Moral Hazard for themselves as not continuing Pentagon’s artificial intelligence project while helping the autocratic communist China’s AI technology that could be used against the United States in a conflict. He described Google as hypocritical, given it has opened an AI center in China and “Anything that’s going on in the AI center in China is going to the Chinese government and then will ultimately end up in the hands of the Chinese military.” Work said. “I didn’t see any Google employee saying, ‘Hmm, maybe we shouldn’t do that.’” Google’s dealings with China is decrying as unpatriotic. Google adhered to the Internet censorship policies of China, enforced by means of filters colloquially known as “The Great Firewall of China“. The Intercept reported in August 2018 that Google is developing for the people’s Republic of China a censored version of its search engine (known as Dragonfly) “that will blacklist websites and search terms about human rights, democracy, religion, and peaceful protest”. Chairman of the Joint Chiefs of Staff General Joseph Dunford also criticizes Google as “it’s inexplicable” that it continue investing in autocratic communist China, who uses censorship technology to restrain freedoms and crackdown people there and has long history of intellectual property and patent theft which hurts U.S. companies, while simultaneously not renewing further research and development collaborations with the Pentagon. He said “I’m not sure that people at Google will enjoy a world order that is informed by the norms and standards of Russia or China.” He urges Google work directly with the U.S. government instead of making controversial inroads into China. Senator Mark Warner (D-VA) criticized Dragonfly evidences China’s success at “recruit[ing] Western companies to their information control efforts” while China exports cyber and censorship infrastructure to authoritarian regimes like Venezuela, Ethiopia, and Pakistan. Google’s mission statement, from the outset, was “to organize the world’s information and make it universally accessible and useful”, and its unofficial slogan is “Don’t be evil“. In October 2015, a related motto was adopted in the Alphabet corporate code of conduct by the phrase: “Do the right thing”. The original motto was retained in the code of conduct of Google, now a subsidiary of Alphabet. Google’s commitment to such robust idealism has been increasingly called into doubt due to a number of the firm’s actions and behaviors which appear to contradict this. On 10 December 2018, a New Zealand court ordered that the name of a man accused of murdering British traveller Grace Millane be withheld from the public. The next morning, Google named the man in an email it sent people who had subscribed to “what’s trending in New Zealand”. Lawyers warned that this could compromise the trial, and Justice Minister Andrew Little said that Google was in contempt of court. Google said that it had been unaware of the court order, and that the email had been created by algorithms.